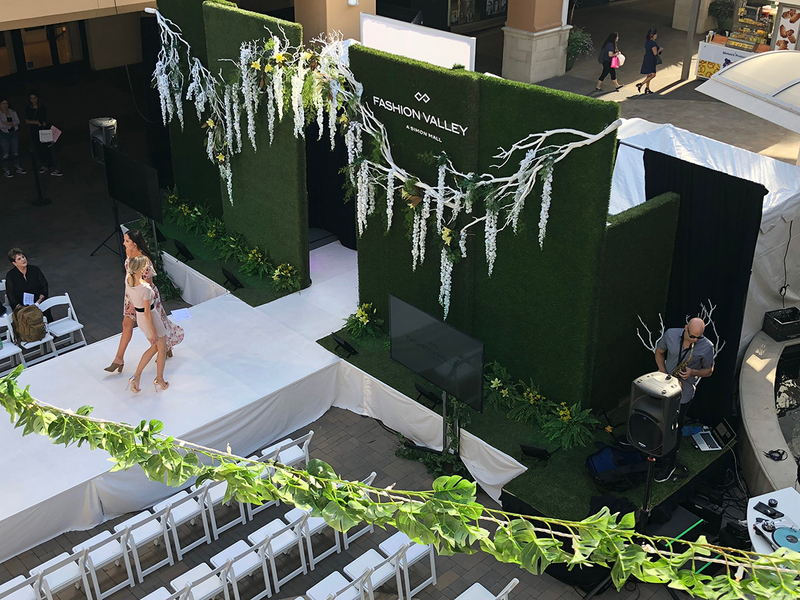 For their Fall Fashion Show, Simon Properties at Fashion Valley found their inspiration in the South. 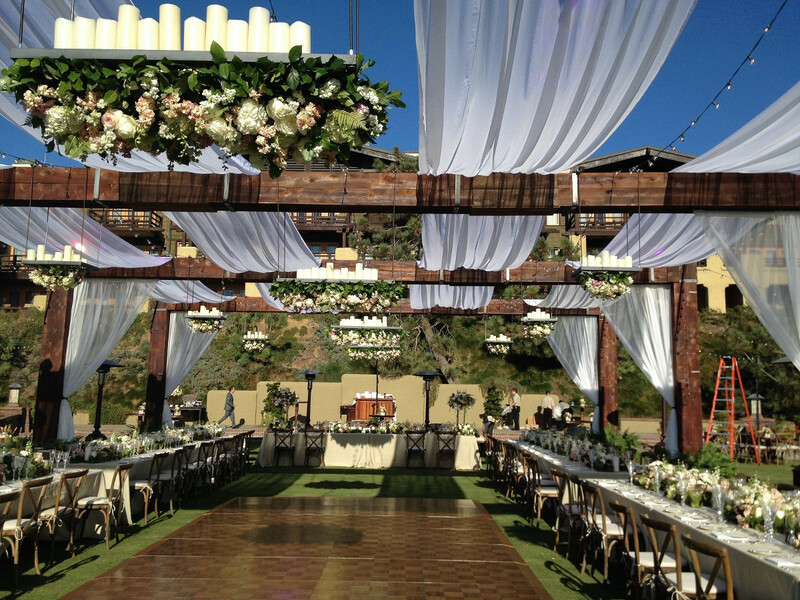 To bring this inspiration to life we draped garlands of greenery and moss overhead with floral accents. 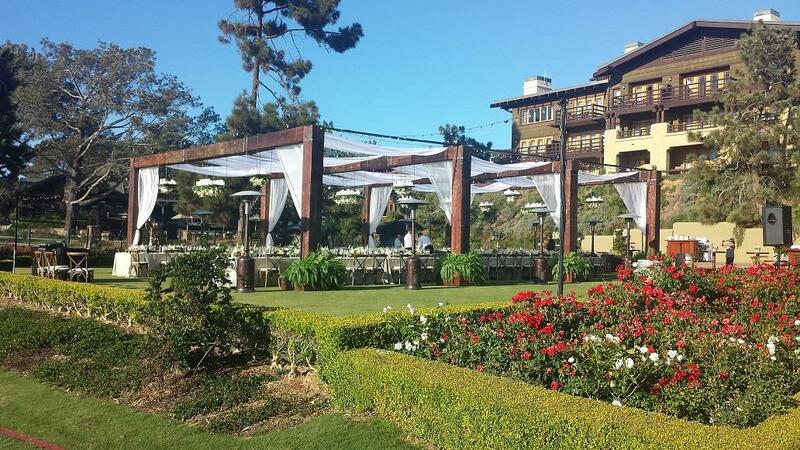 We further suspended white umbrellas from the garlands. 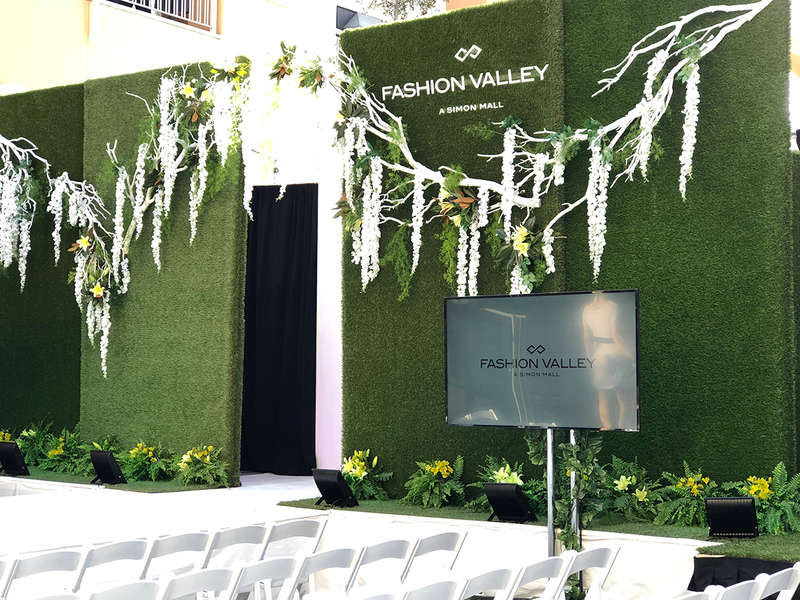 12' grass walls formed the backdrop to the runway and were enhanced by white washed manzanita branches. 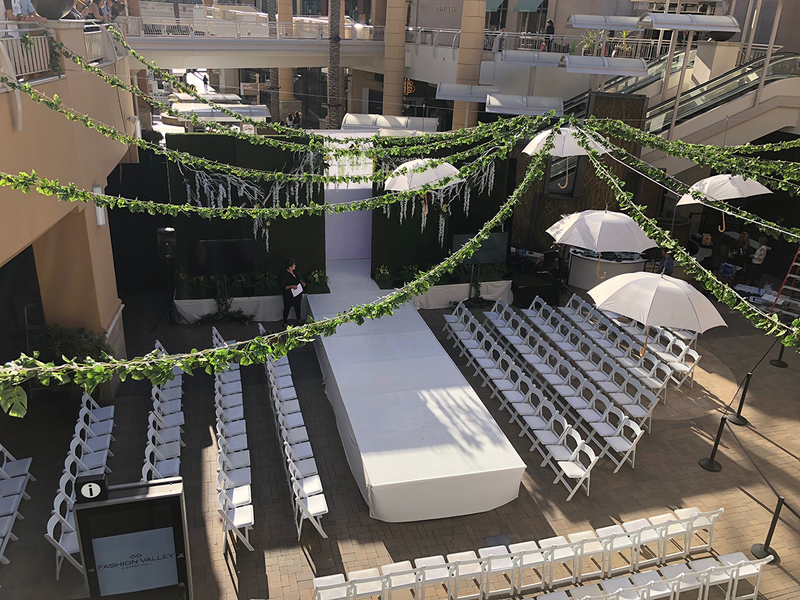 Fresh white magnolia blossoms and hanging greenery completed the design inspiration. 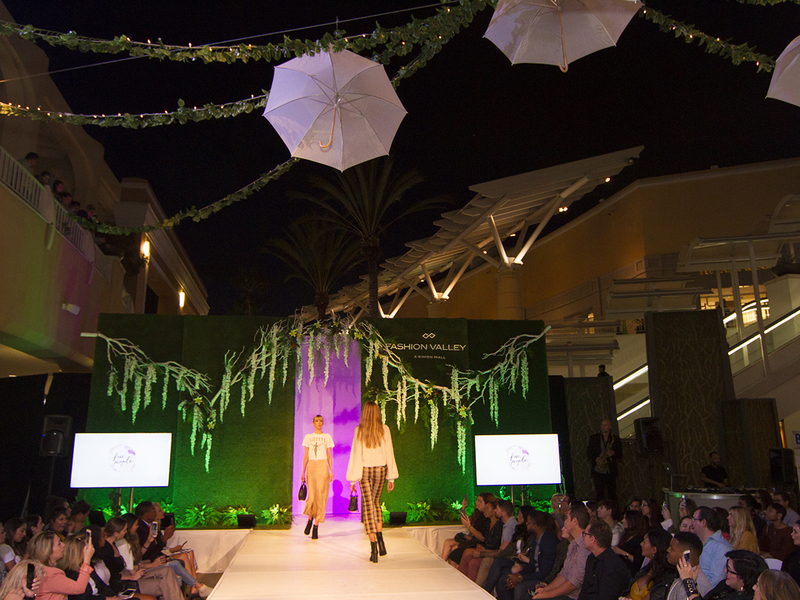 Once the sun set our lighting enhanced the decor along with the models on the runway. 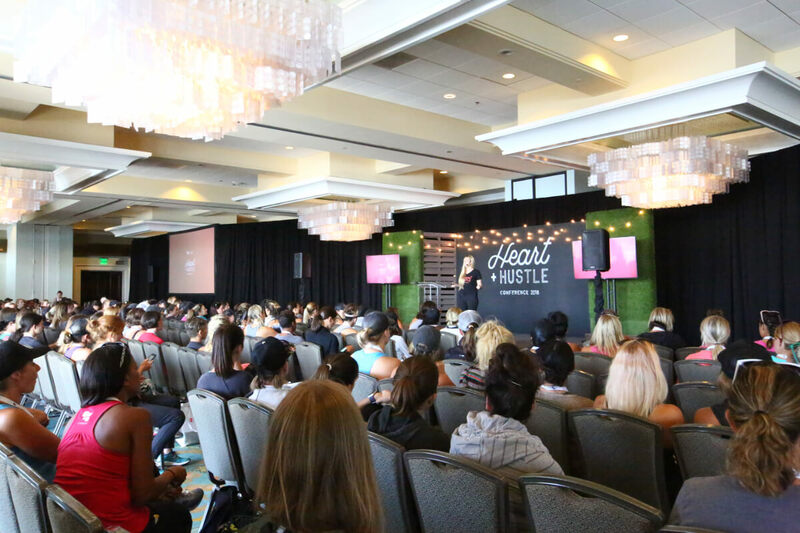 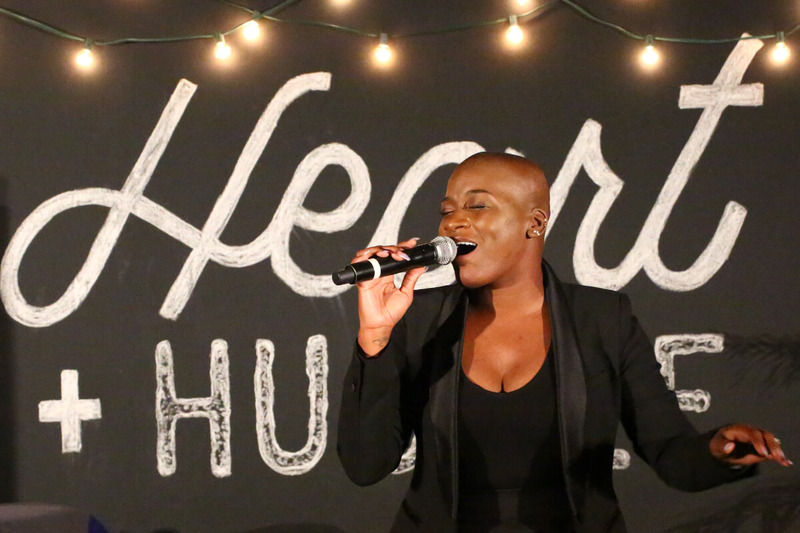 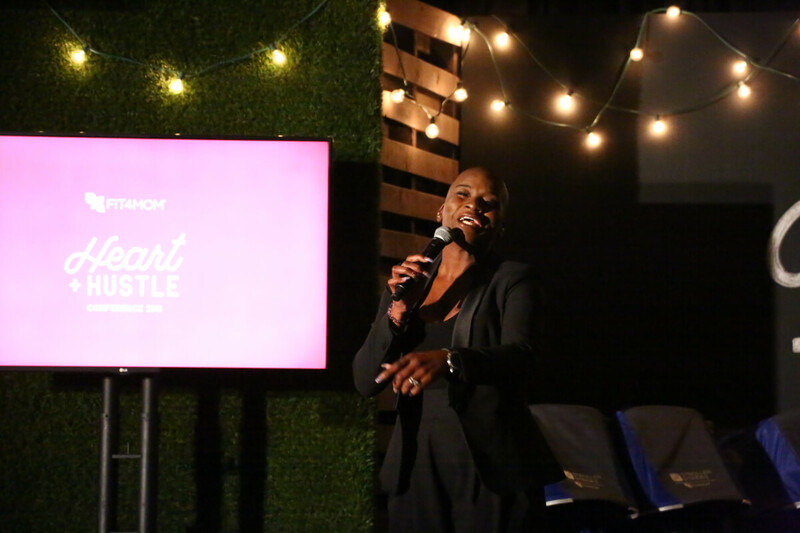 We partnered with Fit4Mom to design a stage Set to reflect their conference theme: HEART & Hustle. 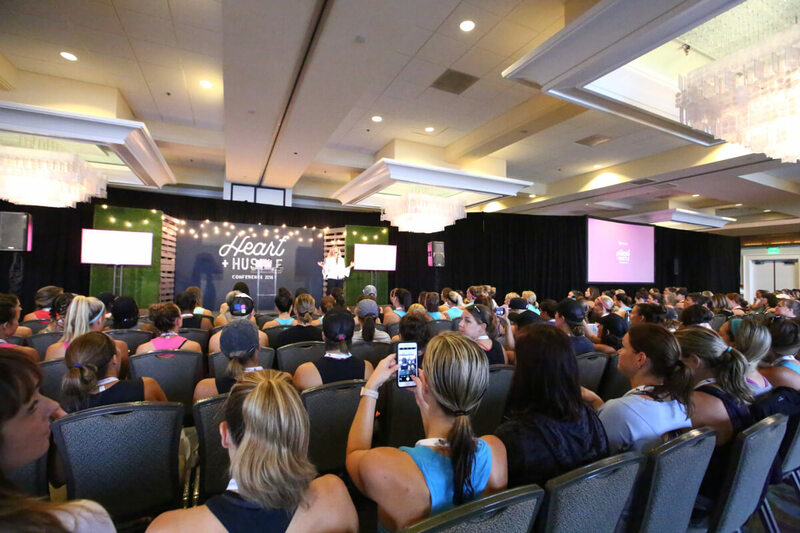 This was for their National Conference held in San Diego with Fitness Instructors and Franchise Owners coming together from across the US. 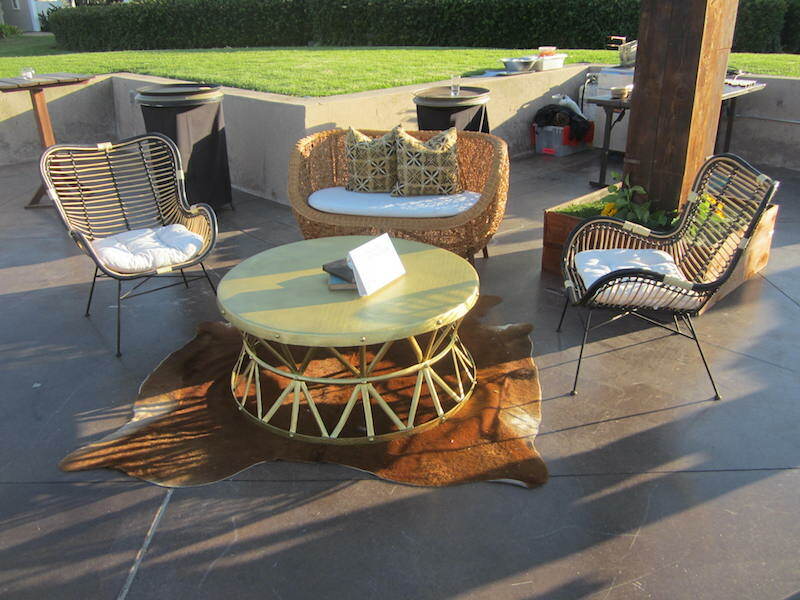 We didn't have much space and we were working withing a specific budget. 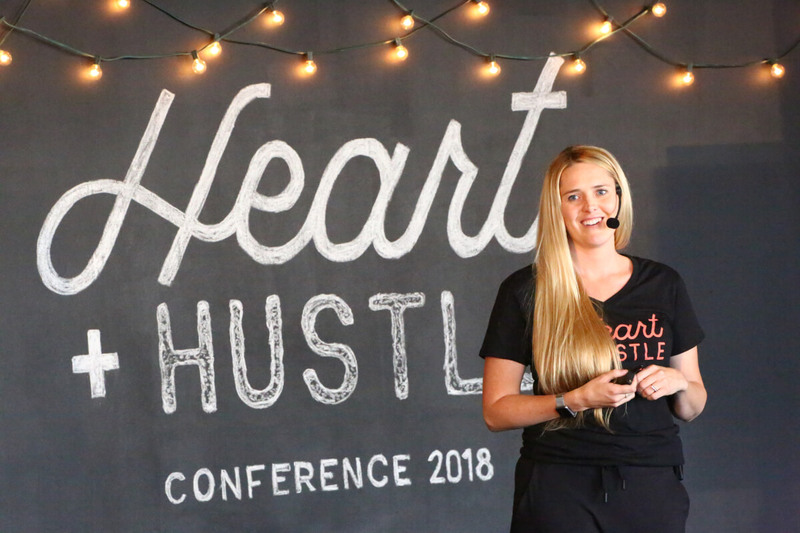 Our team built a 8'x12' Chalk Wall and our artist hand drew their conference logo as a focal point for the design. 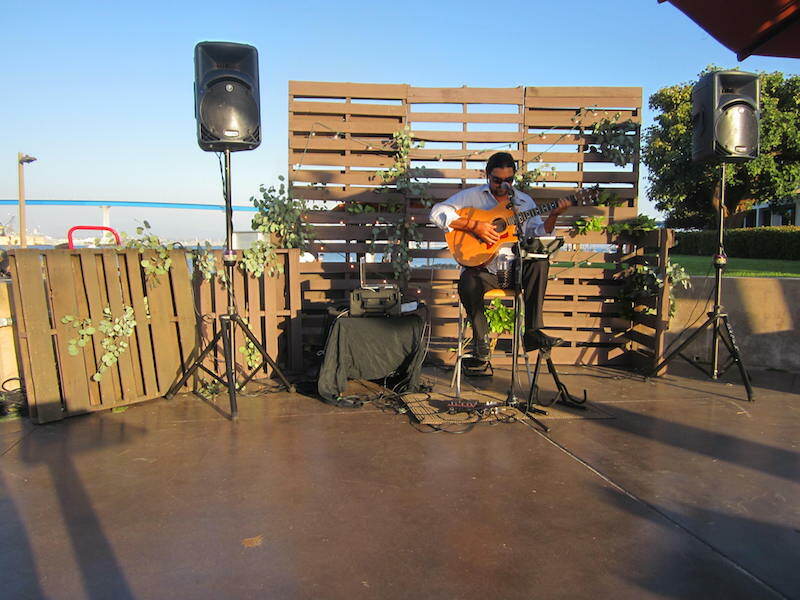 The wall was book ended with stacked Wood Planks and Hedge walls. 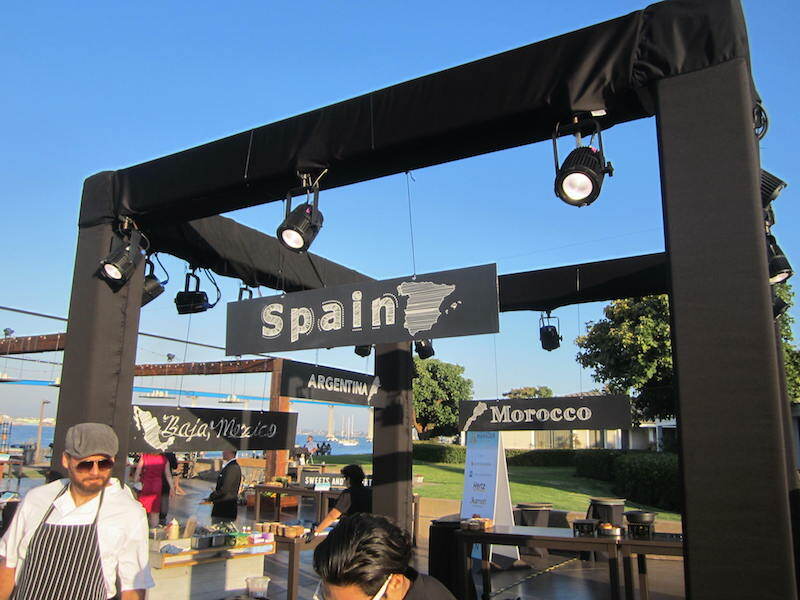 We also draped Market Lights across the entire design to pull it all together. 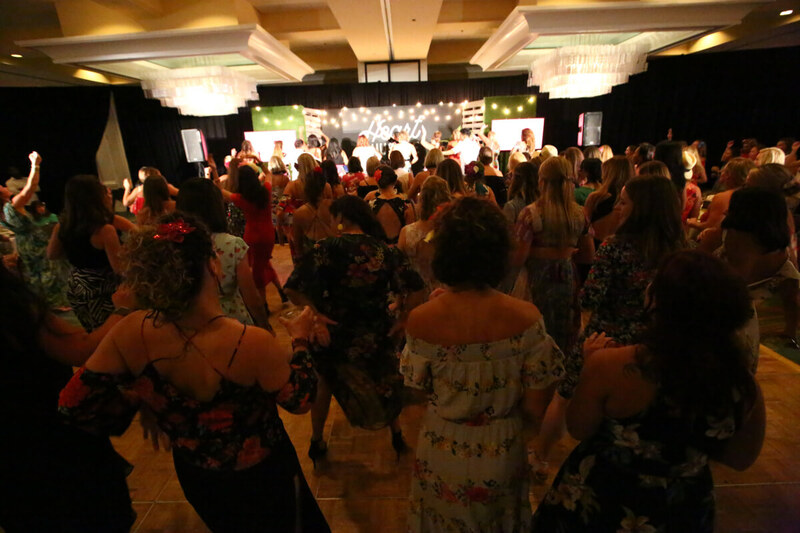 This stage transitioned from their Opening General Session to their Keynote through 3 days wrapping with the Awards Night and Dance Party. 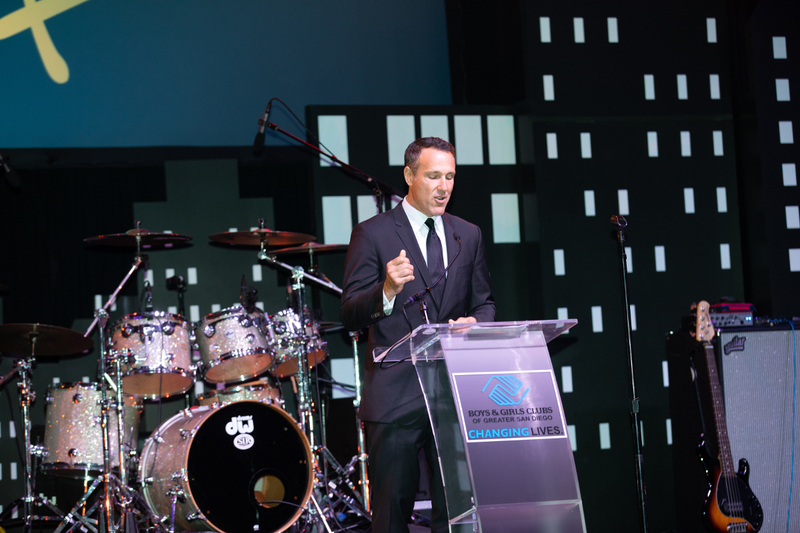 We had the pleasure of partnering again with the Boys and Girls Club of San Diego for their Annual Gala. 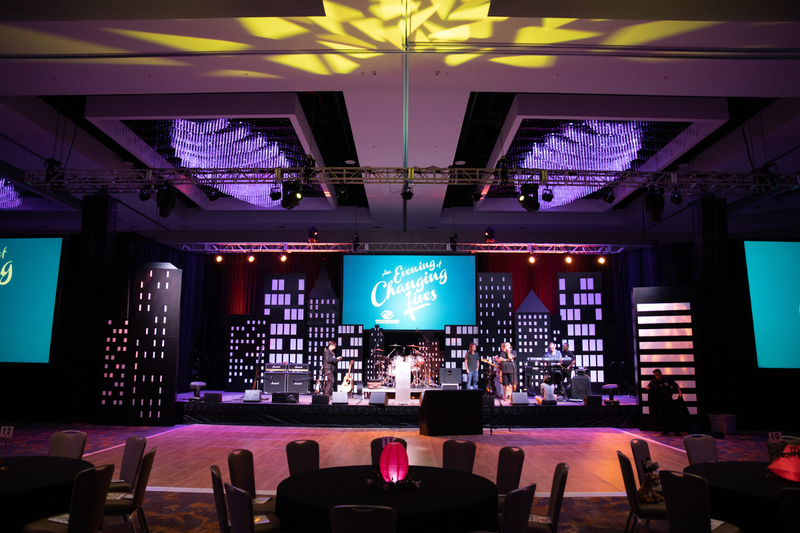 From the Custom Stage Set to the Audio and Visual Package their "Evening of Changing Lives" was once again a huge success. 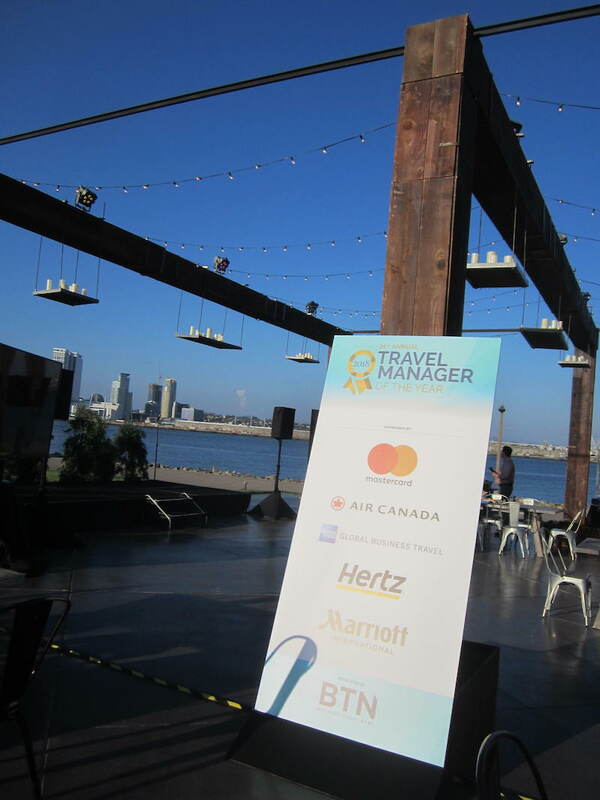 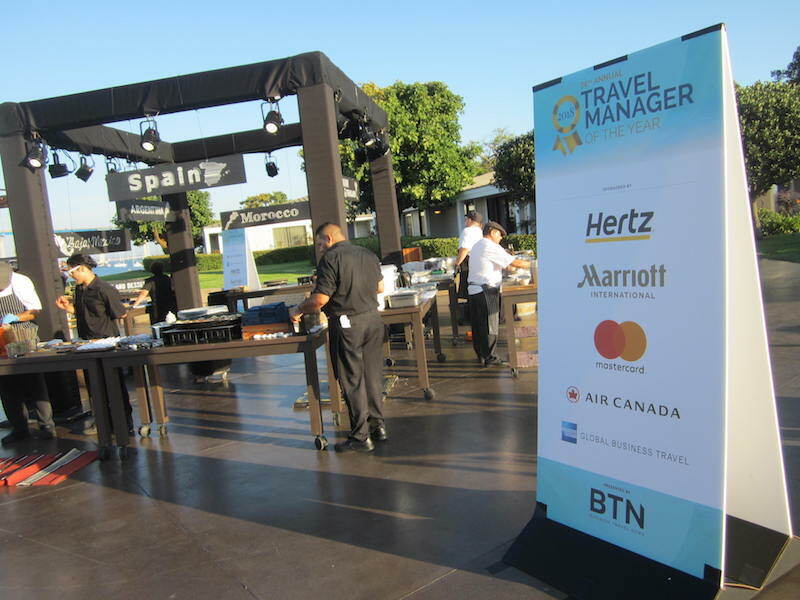 We partnered with the Coronado Island Marriott as they hosted a VIP reception during the GBTA (Global Business Travel Association) conference hosted in San Diego. 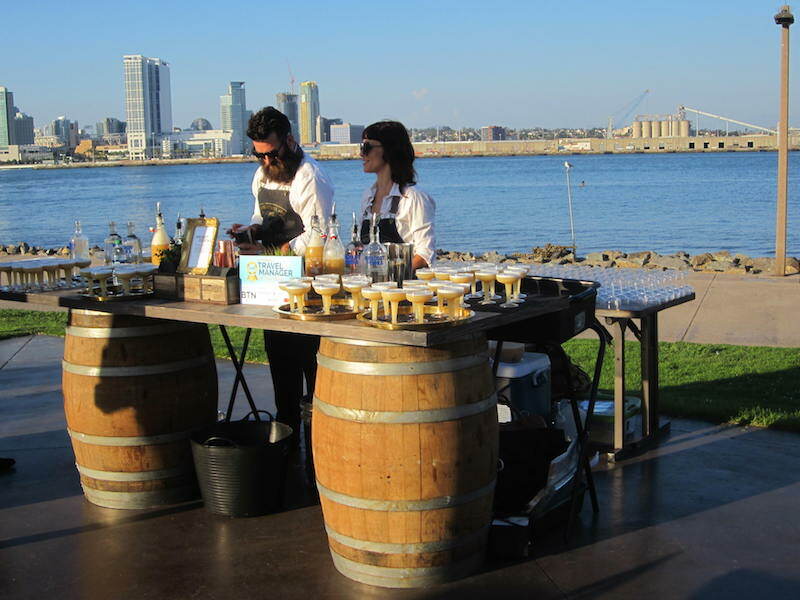 The theme was based on Anthony Bourdain’s travels and celebrated his global travel and unique ability to open our minds to new cultures and food. 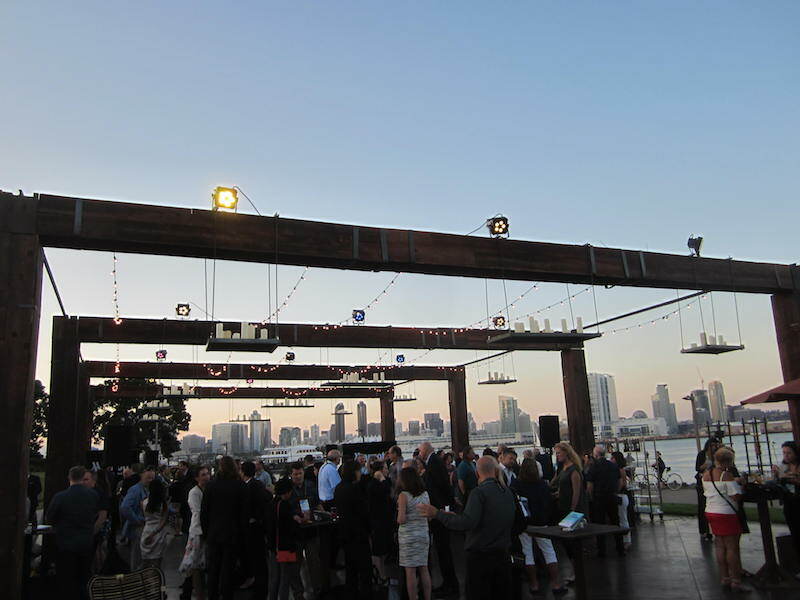 To capture a more trendy organic side of San Diego, our wood plank arches were displayed on Skyline Terrace. 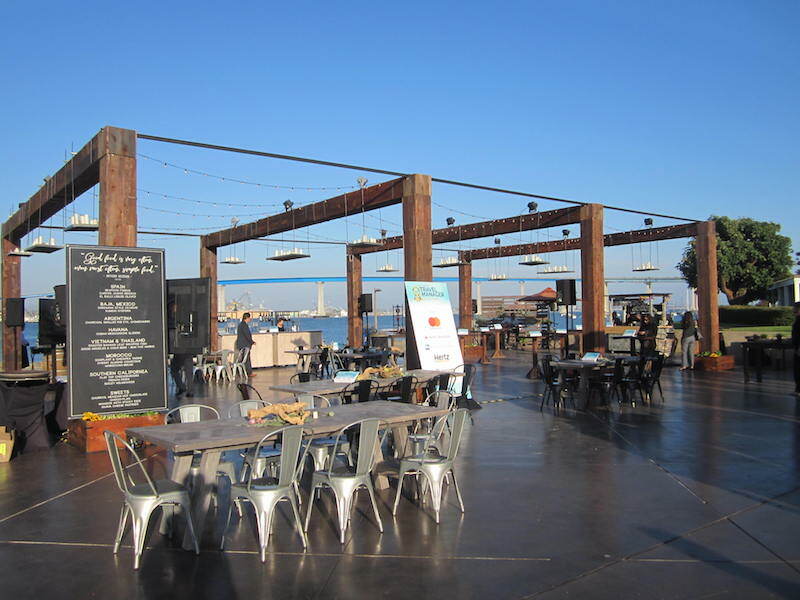 These arches created a dramatic visual presence to this area. 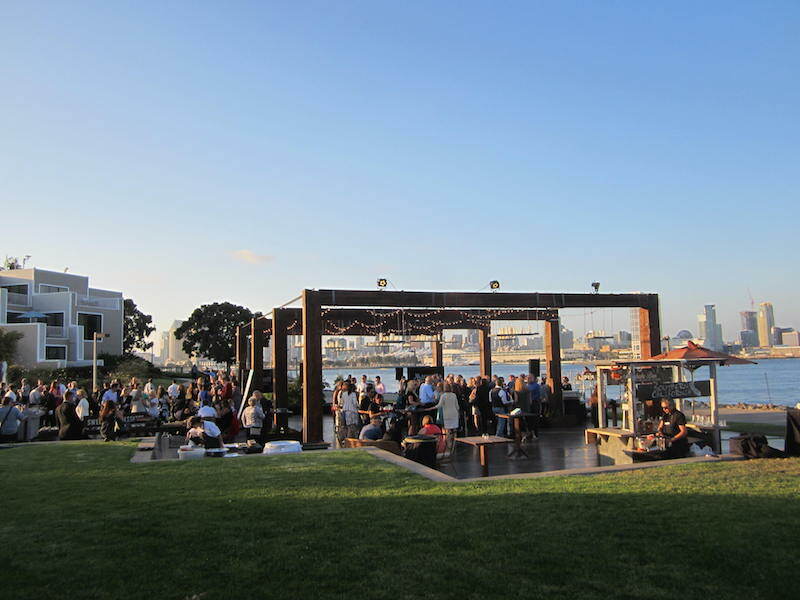 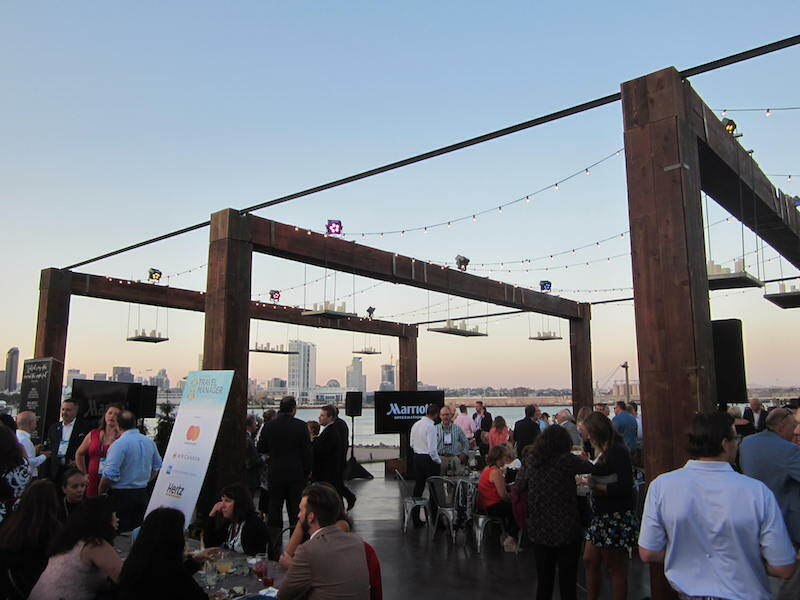 As the sun set on the San Diego skyline, LED lights, hanging deconstructed chandeliers and market bulb lights illuminated the area. 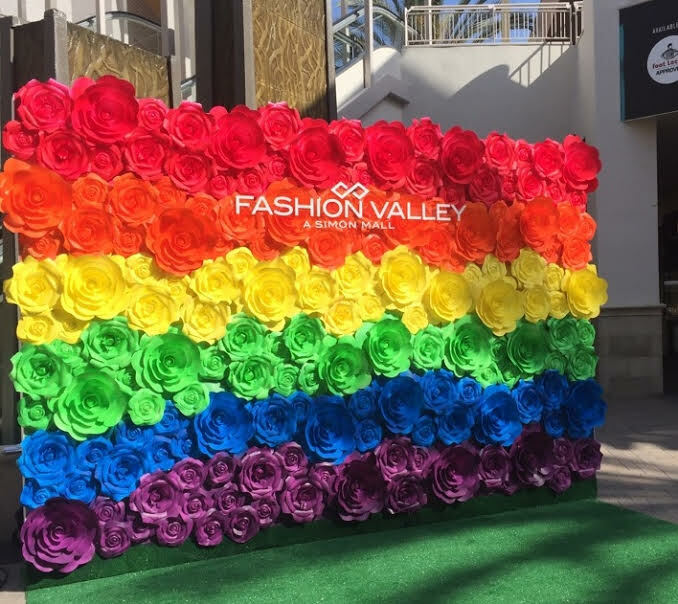 In celebration of #PRIDEWEEKSANDIEGO we were commissioned to produce this gorgeous Rainbow inspired Floral Step and Repeat Wall for Fashion Valley Mall in San Diego. 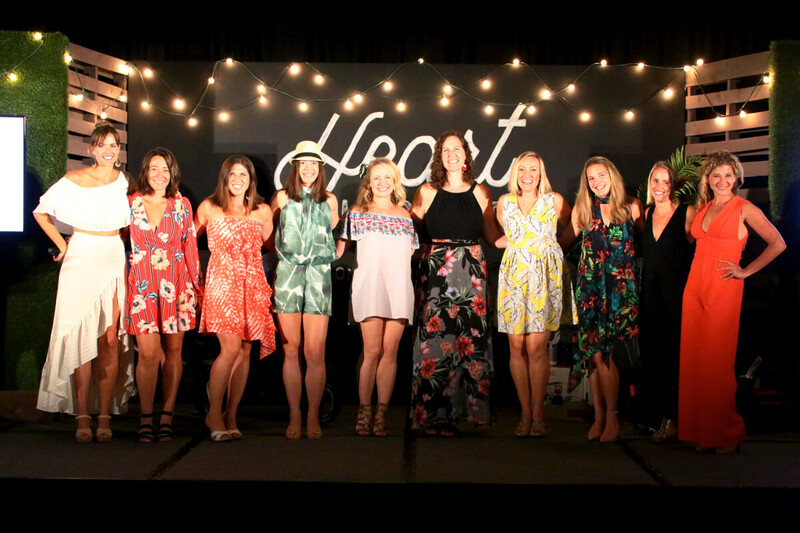 Over 400 hand painted paper flowers were used in this creation by our Scenic Department. 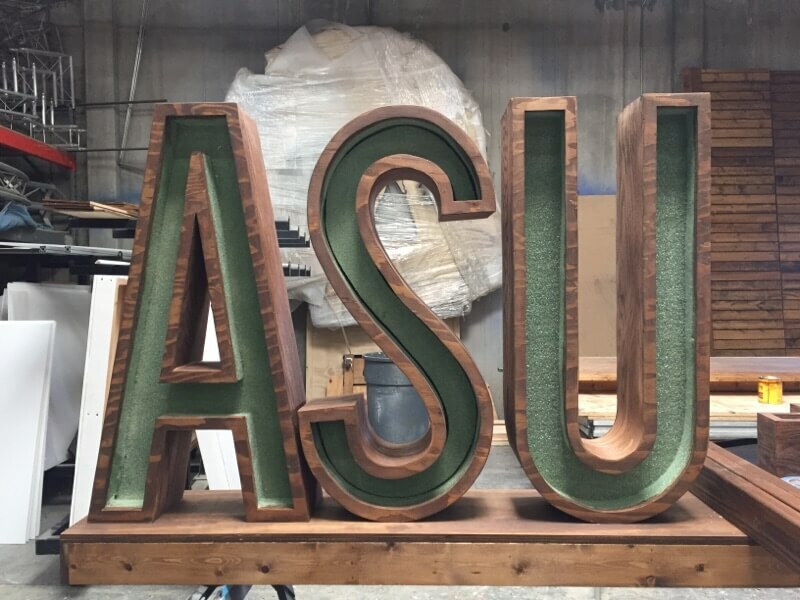 We were contacted by a group to fabricate custom 3 Dimensional letters for a conference at the Manchester Grand Hyatt. 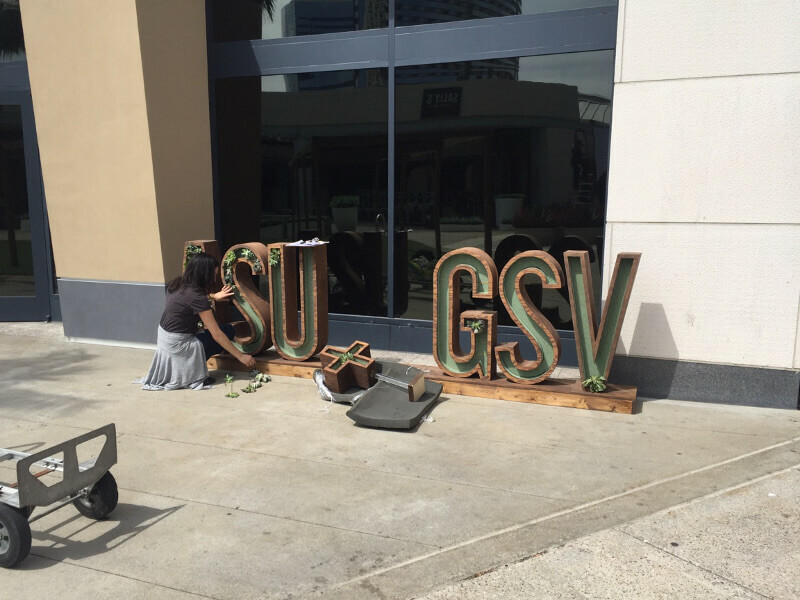 These were designed and fabricated in-house by our Scenic Department and finish on location with fresh succulents. 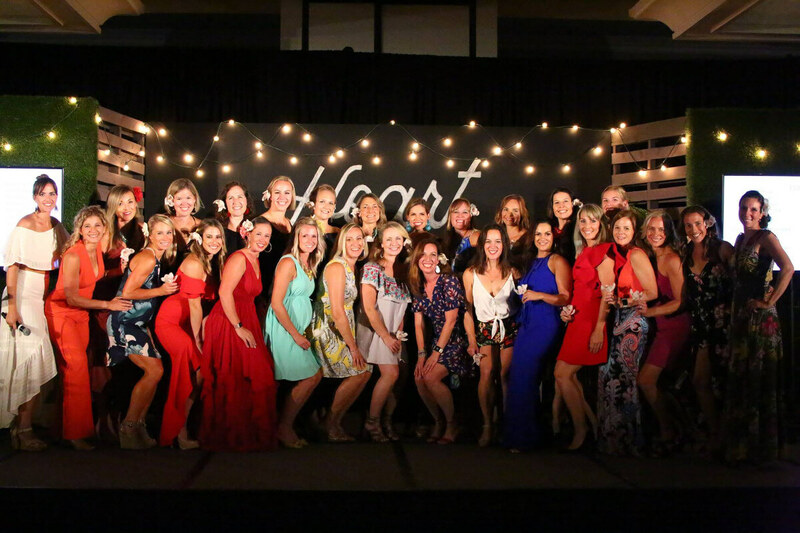 This group was hosting a small intimate dinner on the Windsor Lawn at the Historic Hotel del Coronado. 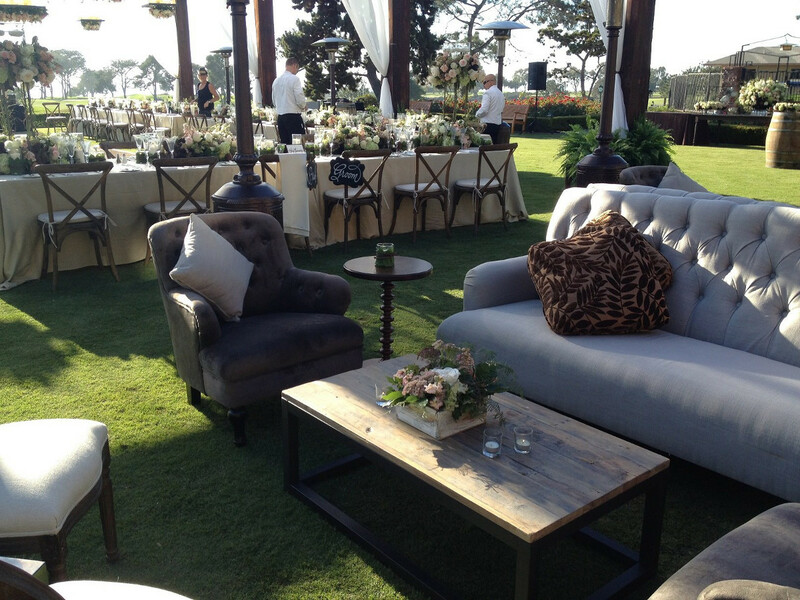 Our rustic wood cabanas framed the long farm tables and defined the space on the lawn. 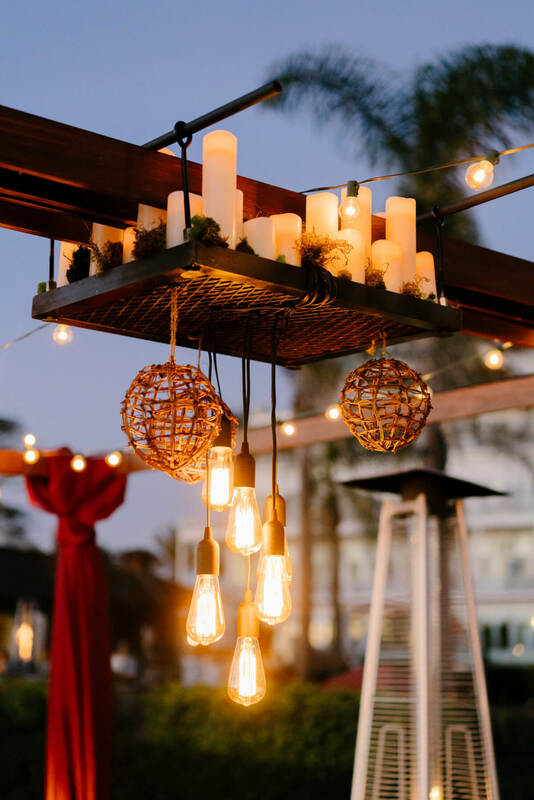 Market Lights and our drop platform with candles, tucks of moss and Edison lights illuminated the dinning area. 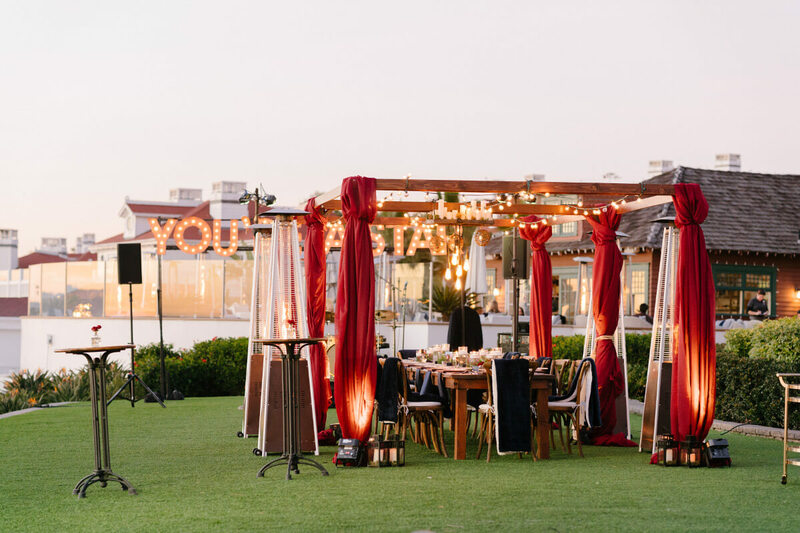 The client provided pashminas for warmth from the ocean breeze, which were draped on the back of the rustic chairs. 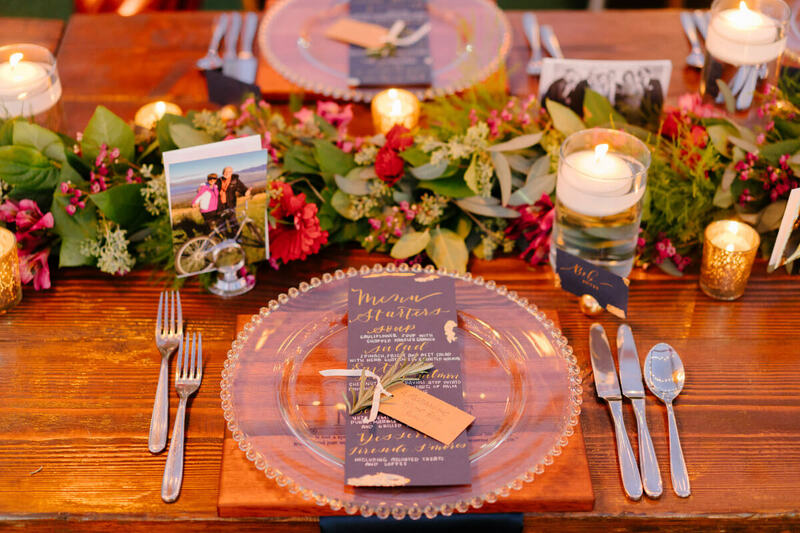 The table was topped with a fresh garland of lemon leaves, fresh flowers and more candles. 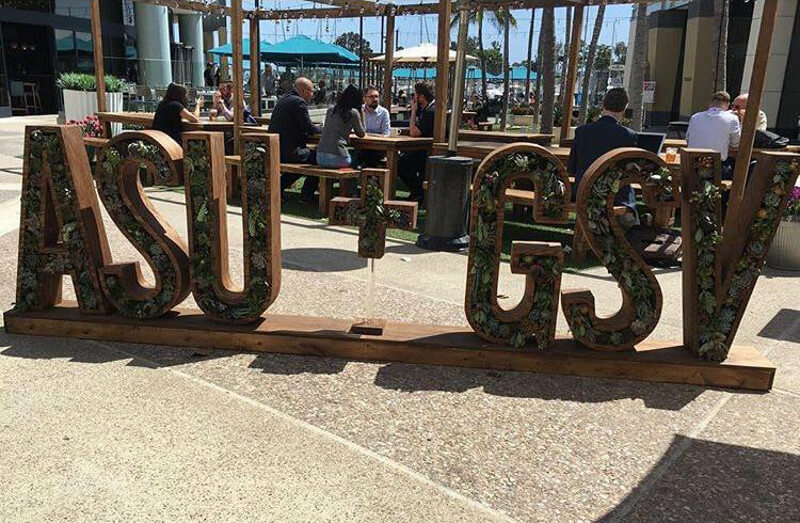 Marquee Lettering finished the lawn behind our live musicians. 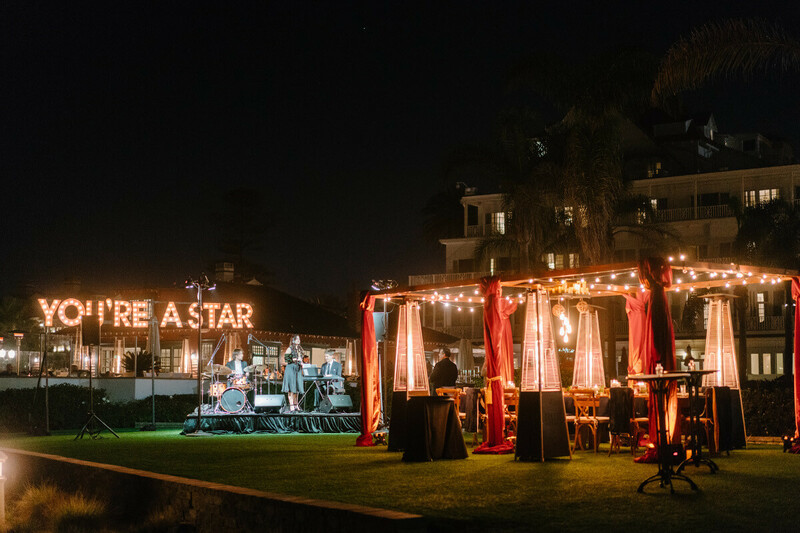 …and decide you want 30' wide x 18' tall stained wood arches with flowing Organza runners and country chic candelabras covered in beautiful floral…(we get called). 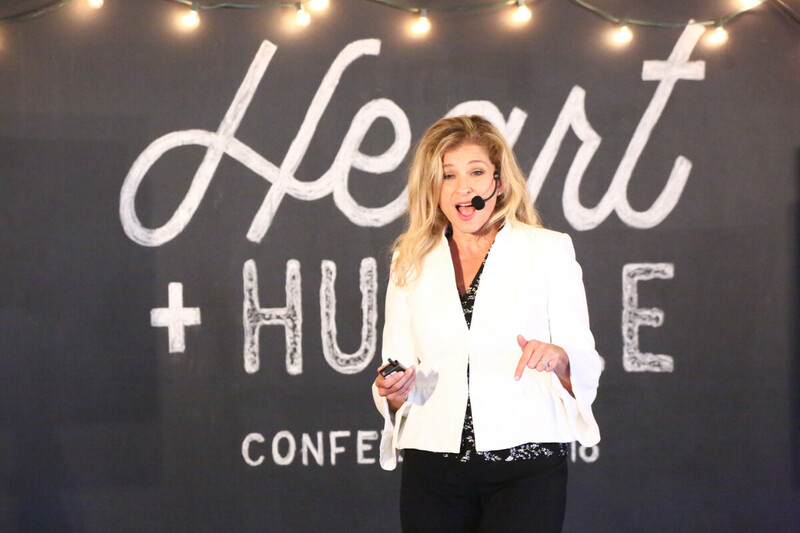 …and proven results in every size of event you produce. 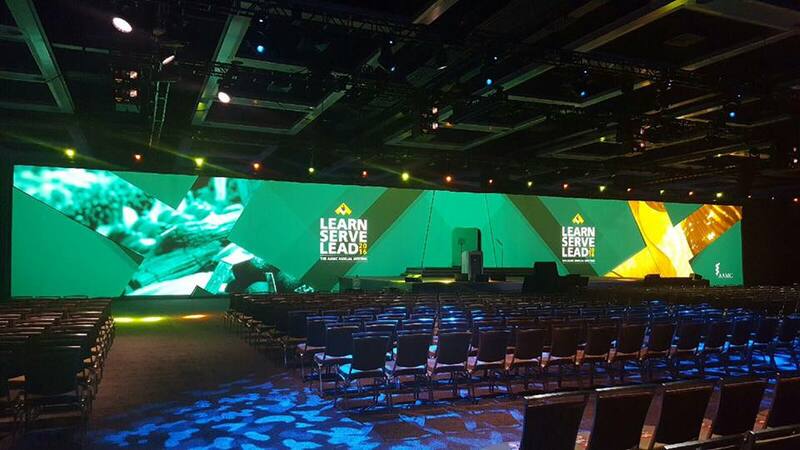 This is in Seattle for one of our favorite clients.